What’s a Split Shutter Tilt Rod? A shutter tilt rod is the mechanism used in a shutter panel for opening and closing the louvres. It’s either visible on the front of the shutter or hidden to the back of the panel. A split tilt rod is generally associated with the hidden tilt rod. Instead of one rod connecting all of the louvres together, the rod is split, at whatever point you wish, allowing a section of louvres to open and close independently of the remaining louvres. Posted by Hugo Clancy. 22 June 2014. 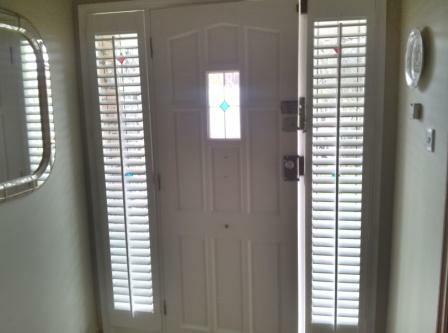 Recently we’ve had a lot of inquiries from customers looking for shutters supplied in 3-4 weeks rather than waiting for Chinese imported shutters. It appears the lead time for Chinese shutters is currently averaging around 11 weeks, which is an incredibly long time to wait to have something fitted in your home, even if it is custom-made. I suspect this is an attempt by the shutter factories in China to reduce their production or shipping costs as wages and other inputs increase. Instead of shipping express in 30 days to Europe, it can be cheaper to ship 45 days, with the ocean vessel calling to a lot more ports en route. On the factory floor, less workers are employed or overtime is reduced in order to keep costs down, and this inevitably increases lead times. At Shutterplus, we can supply you with your diy custom-made hardwood shutters in 3-4 weeks and diy flat pack shutters in just 7-10 working days. So there’s no need to wait on the slow boat from China! Also if you need repair parts for shutters, or you’re looking for shutter components to build your own shutters, at Shutterplus we have everything you need; louver pins, shutter magnets and shutter hinges. Contact us today to get your order under way. What happens in Vegas stays in Vegas, the saying goes. I’m attending the International Window Coverings Expo and it’s a fairly tame affair so not much to disclose in terms of high jinks! That’ll be later, after dark! There aren’t many new innovations on the shutter side of things. A stackable shutter was about the height of it and I’m not sure if that’s going to catch on. Too plastic for me, huge amount of engineering and parts and too much to go wrong with it. I’ll see if I can post a video of it in action but I’ve added a picture below for now. Attending these shows is more about making contacts and meeting people you deal with but never got to meet or haven’t met for many years. And of course there’s the chance you’ll see some fantastic new and innovative products. As for the stackable plastic shutter, that will definitely be staying in Vegas. More and more people are realising just how much money they can save by opting to measure and install their own plantation shutters. At Shutterplus, we specialise in diy shutters, as well as shutter components for building your own shutters from scratch and spare parts for plantation shutters. 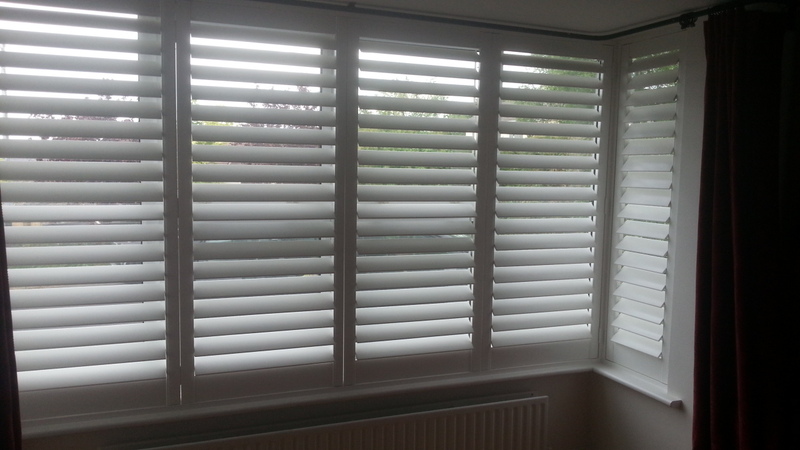 Visit http://www.shutterplus.co.uk/build-shutters.php to start designing you premium quality hardwood shutters. You’ll receive regular updates on your order in your inbox. What’s Jeff Randall got to do with plantation shutters I hear you ask. I happened to be watching his programme on Sky news yesterday evening when he interviewed the CEO of furniture giant DFS, whose profits have risen 17% despite the economic slump and poor housing market in particular. The CEO explained that the excellent performance was as a result of targeting areas of the country where DFS didn’t have a presence and also broadening their customer base by offering new products. The other interesting factor he mentioned was shorter lead times for items such as sofas and living and dining room furniture which was now being made in Britain, as opposed to the Far East. This struck a chord with me, as only at the weekend, I read a newspaper article on General Electric in the US and their new strategy of “Reshoring”, ie bringing previously outsourced production back to the United States. This is of particular relevance to my own sector, plantation shutters. 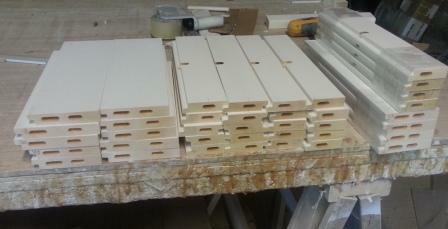 The vast majority of plantation shutters sold in the UK are imported from China with typical lead times of 6-8 weeks. Here at Shutterplus, we sell all the wooden components and hardware required for building plantation shutters, and since the turn of the year, the level of interest in our products from joineries and workshops has been striking. Have you got a front door with adjacent side windows that are difficult to cover? Have you considered plantation shutters? 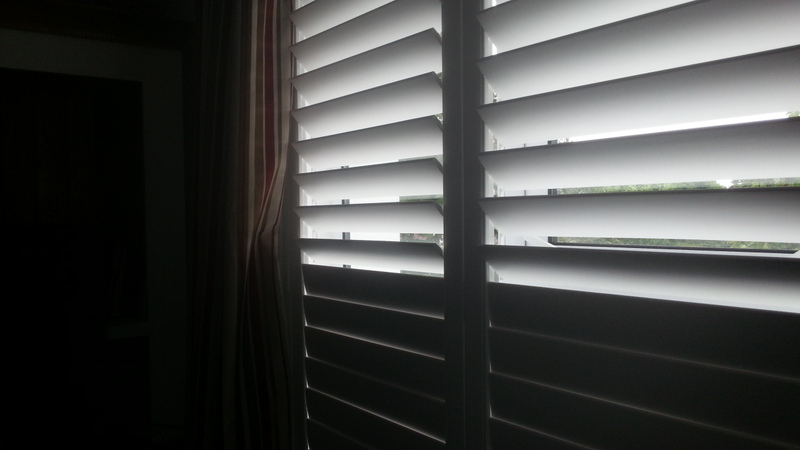 Our solid wood shutters are not expensive and they’re really easy to install. Design & Buy yours now!